When it comes to designing a website, either for your business or anybody else, success doesn’t come so easy. Web designing might seem like an easy enough task at the start but trust us; it’s not. A successful web designer does not do everything solely, they need some other people experience to know more things to implement. Also, you need to upgrade your skill to a different level. You have to make your design look fresh, unique and neat to make yourself a standout among the crowd of websites. At the same time, you also need to take your site’s SEO into consideration to maximize results for your own good. So how can you create the perfect website within a reasonable amount of time? The following tips can help. A simplistic design isn’t too simple to achieve. Yep, this might seem like a paradox at first glance, but it’s an undeniable fact indeed. If you want examples, we can give you loads. In fact, we will give you the best example of the lot in Google itself. Take a peek at the homepage of Google. What do you see? It’s simple and clutter-free with loads of whitespaces all around. This is a classic design that really proves our point beyond all doubt. 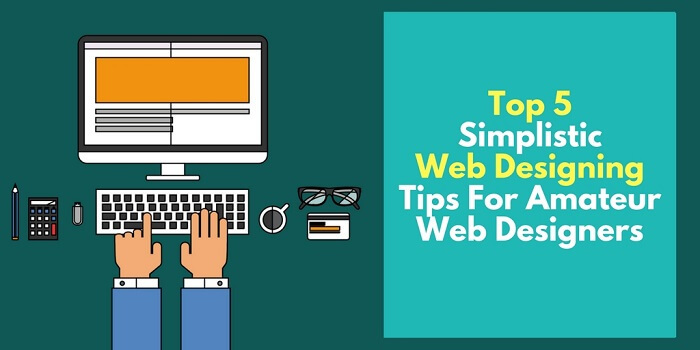 So here’s the advice for you: Go with a simplistic web-designing approach. All those icons, badges, ads, pop-ups can clutter your website beyond all limits. AVOID using them in your design. A logo must be an integral part of a business brand. It can definitely help to improve the credibility of a business, which, in turn, can directly and positively affect the brand value of the business for the good. So to ensure that your design comes with a polished and professional logo. The logo must also be prominently placed on the site such that your visitors can take a peek at in a jiffy. Remember that a website featuring on the World Wide Web without a logo virtually has no meaning. So do accordingly. Tip: It’s advisable to use a high-resolution PNG image of the logo in the upper left corner of your design. It’s also advisable to link the logo back to your landing page (home page) for your own good. Visual hierarchy says that human eyes explore text or web space in a specific pattern, preferably from left to right and from top to bottom. You should base your design on the very same concept of visual hierarchy to maximize results in the long run. If you want to create a call to action button on your website (say a “subscribe,” “buy,” or a “sign up” button), place the button on the top right side of your page to generate more clicks and leads in the long run. This ensures easier visibility which is a definite upside in itself. So always create your designs by taking visual hierarchy into account. You, yourself will benefit more as a result of this. 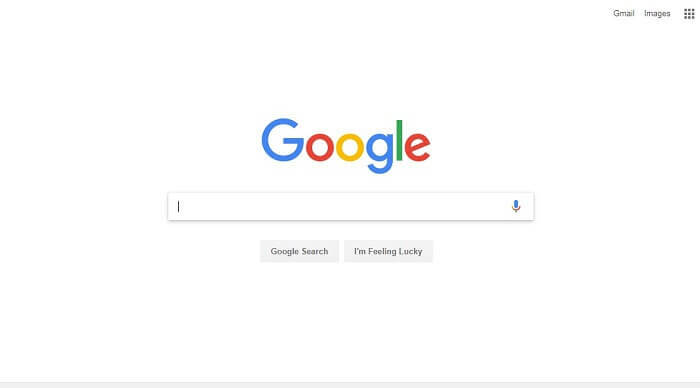 Let’s go back to the classic example of Google that we referred to in point number 1. Honestly, tell us what do you see a lot in the image shown above? Do you see a bunch of elements present in it? Or do you see whitespaces all around? Whitespaces aren’t a bad thing in any way whatsoever. They are your friend if you are capable of using them the right way. So NEVER clutter your design with unnecessary elements to cover up the whitespaces. Keep them as they are. So what is a responsive web design? A responsive web design’s a design that’s capable of making a web page look good on ANY device, be it a mobile or an HD TV or a desktop. Responsive web designing is the new trend of the web designing world. If you want to create a good user experience for your desktop and mobile audience, in particular, responsive designing should be the way for you to go. So that sums up everything we wanted to tell you through this article. We hope you had a good and useful read. Cheerio! Allan Lloyd has more than five years of experience as a content developer. A web enthusiast, he has a penchant for framing content for diverse industries. He has framed content for different blogging platforms. His areas of interest include health, business, news, entertainment and home improvement. He frames informative write-ups and tries to make all of them interesting for the readers.